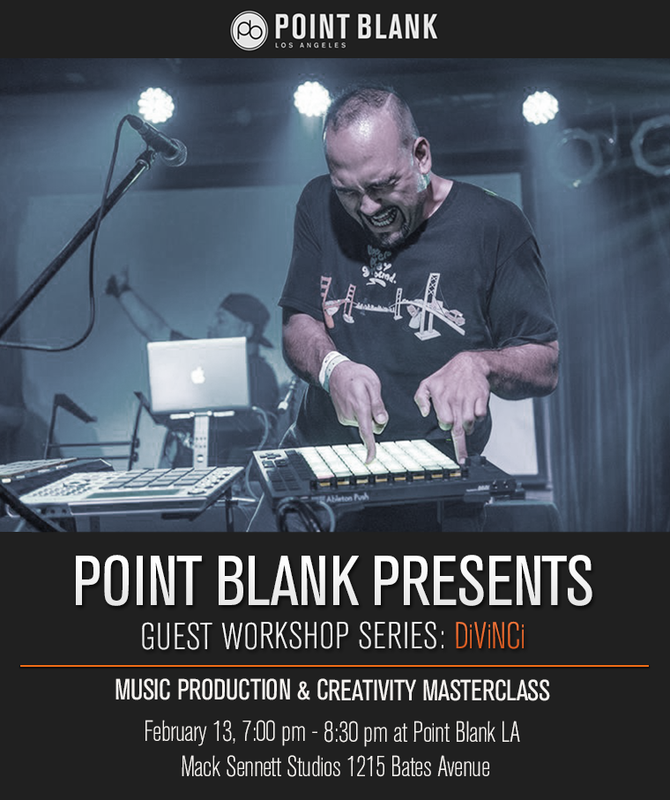 We’re very pleased to announce that hip-hop producer and live performer DiViNCi will be joining us at Point Blank LA for a masterclass which will see him demonstrate his unique production skills using Ableton and MIDI hardware. During the event, DiViNCi will demonstrate how he starts a track from scratch and discuss his techniques on developing ideas into finished productions. In addition to all this, he will shed light on some of his favorite productions by reverse engineering his creative process and provide insights on how to find your unique voice amid the noise. Watch DiViNCi in action below and RSVP to the event here. As a founding member and producer of Orlando-based hip hop group Solillaquists of Sound and electro-Soul duo Chakra Khan, DiViNCi first gained notoriety by using multiple drum machines in ways the world had never seen before. His frenetic finger drumming, sonic dynamism and innovative use of music technology have led to stage and studio collaborations with such artists as Lauryn Hill, Nas, Victor Wooten, MF DOOM, Doug Wimbish & El-P (Run The Jewels). As an avid music technologist, DiViNCi has also helped in the development process of many of the products he uses like the MPC & Ableton Push. As a public speaker and educator, DiViNCi shares his passion for creative health by helping others refine their creative process through his one-on-one coaching service, StudioSensei.com. While currently at work on various music projects, DiViNCi continues to travel the world connecting with audiences through his high-energy performances, speaking engagements, & workshops.